Leslie Jones showed her support for Christian Siriano at New York Fashion Week over the weekend. 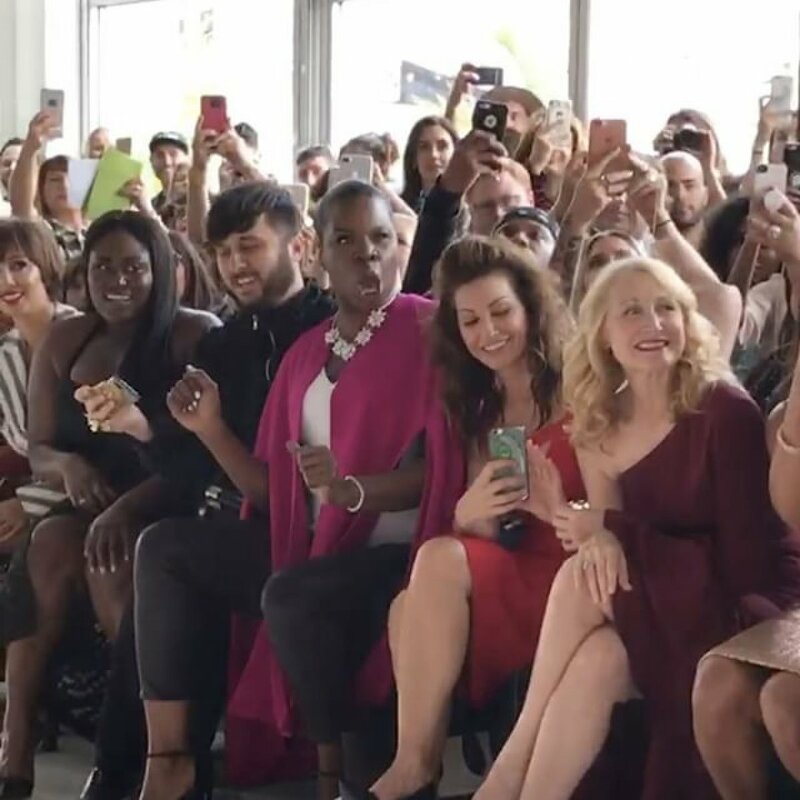 The 50-year-old actress cheered on Siriano's new collection from the front row at the fashion designer's garden-inspired NYFW show Saturday. Jones encouraged the models to "work it" as she took in Siriano's colorful new looks, according to the Los Angeles Times. Model Coco Rocha acknowledged Jones' enthusiasm at one point by "lingering briefly" in the star's vicinity. The "Ghostbusters" star wore a colorful pink cape with a white top, black pants and a statement necklace. She sat next to fellow actresses Patricia Clarkson, Gina Gershon and Vanessa Williams at the event. "I had so much fun and um I think acted more like I was at a game than fashion show!! lol ya'll k now I'm ghetto!! @CSiriano COLLECTION LOVE!!" Jones tweeted. Siriano's show featured models of different sizes and ethnicities. The collection was defined by bright colors, floral prints and flower-like textures, such as exaggerated ruffles. "It's a very diverse runway today," the designer told E! News. "We have boys. We have trans. We have curvy. We have everything. As my t-shirt says, we all grow in the same garden, and I really wanted to bring that today." Siriano designed a dress for Jones to wear to the Los Angeles premiere of "Ghostbusters" in July 2016 after the actress said no designers were willing to dress her. The designer explained to Time at the time that he supports "women of all ages and sizes."